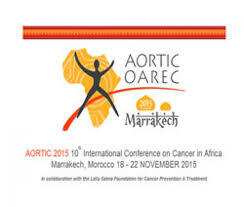 The 10th AORTIC Conference is being held in Marrakech, Morocco. This morning started with round the table discussions: meet the expert. I attended the session on the impact of inequity on cancer care. It was chaired by Lyn Denny, Ophira Ginsburg and Renga Sankar. Prof Lyn Denny opened the discussion and suggested we should concentrate identifying “outrage points”. She asked us to consider the downstream effects of premature deaths from cancer. What is the impact of diagnosis of breast cancer on children? (In Bangladesh: children have a 25% chance of living to age of 10 if the mother dies before the child is 10 years old.) Prof Stefan, a paediatric oncologist, said that history would judge us by how we look after our children. Childhood cancers are thought of as being very rare but they can often be successfully treated and as about half of Africa’s population are children, there are about 50 000 new cases per annum. As the discussion opened up, many contributors stressed the importance of integration of quality resources. It starts at the primary level: the clinic should be clean. Health care workers must be well trained. Centres of excellence have been shown to be essential for improved outcome from cancer. There is a need to discuss resource utilization: there was some debate as to whether we need further specialists or whether competency should be accepted. 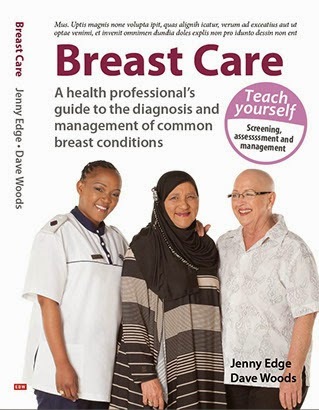 There is a need for clear appropiate guidelines for the management of breast cancer. Dr Smith reminded us that alleviation of poverty must be addressed. There is no point in having good health care services if patients cannot afford to access them. Even in countries such as Tanzania where most of the health care is free, 60 % of women do not get the chemotherapy they should. Why not? The physical, financial and social toxicity of the treatment means that the majority of people will not complete their treatment. On average, one course of chemotherapy costs 70% of annual income in Tanzania. More discussion has to be had with Pharma about pricing policies. Advocacy groups are vital in getting change. To talk about awareness is not enough. (How do we measure awareness?) Policy makers have to be committed to change. In Tanzania, the government workers are not allowed to leave the country to get medical treatment. This is bound to result in an improvement of care. In conclusion, we should not have 3rd rate care for 3rd world countries.